So mid-this summer I decided that I needed to have a permanent home on the web, especially somewhere where people could go and find out about my professional life and not just read my political views or details about my personal life. I’ve ran blogs for myself ever since my teenage years but you guys know how that typically goes, it’s cool for a week and then you forget about it. But I’ve always used Wordpress for myself just because I liked having control over the server. So that’s what I did, I went on Digital Ocean, created myself a CentOS droplet, popped Wordpress on it and good to go! So I immediately grabbed my debit card, went over to Squarespace, signed up for an account, paid it for the year and within a few hours had everything transferred and back up and running. To be fair, I’ve had a lot of experience with Squarespace in the past. It’s been my go to web platform for my IT clients for years, mostly because I could go in and set everything up initially, spend a few hours with the client and show them around and they could make changes to their site themselves without having to call me. But my point is this: save your energy for the most important work. Hell, I have web servers, application servers, database servers, caching servers, VOIP servers, Active Directory servers, etc that I’ve been managing and running 24/7 for years with very little downtime. So sure, I could have went over to AWS, spun up a few small instances, placed them behind a load balancer, blah, blah, blah and STILL have to be the one who manages it and have to be the one who fixes it when it has problems. Sometimes it’s not worth the time or the energy just to be able to say you did it all yourself. I’m not sure if it’s because I’m getting older or what but I’m beginning to start picking my battles more carefully. For the last few years my domain registrar of choice has been Hover for it’s simplicity. I have NEVER been a big fan of GoDaddy because of their check out process and always that that Network Solutions was over rated. Hover doesn’t try to sell you server space or things you don’t need, you just go in, choose your domain name and checkout. My domain names currently costs $15/year which is about average. 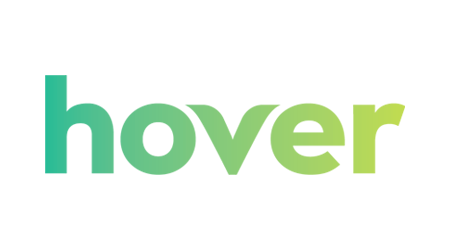 The next time you’re looking to get a new domain name or it’s time to renew one of your existing domain names, look at transferring your domain name to Hover.